Clean lines, minimum clutter and simple decor result in a bright, pleasing, contemporary kitchen. 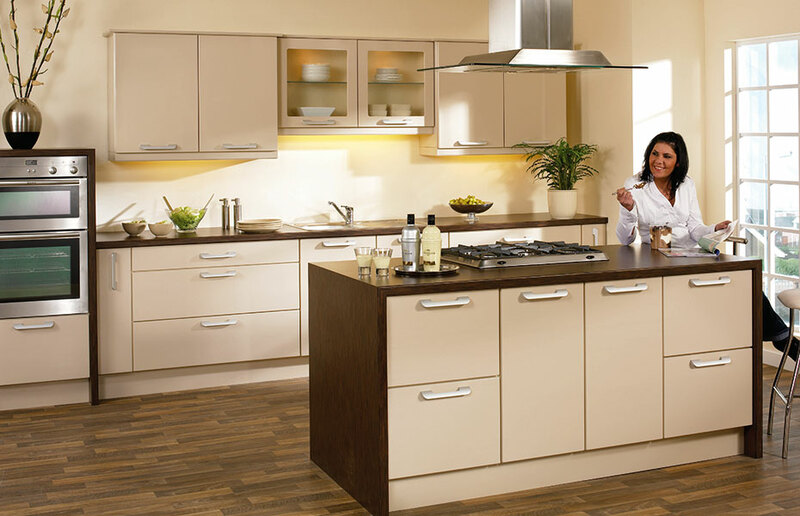 New High Gloss kitchen doors and drawer fronts start from just £8.97. Click the button to purchase a Sample Premier Duleek design door in the High Gloss Beige finish.